Our hopes (and fears) for the infosec world for the coming year. Predictions are tough, but even moreso in the chaotic world of cyber security. The threat landscape is huge, offensive and defensive technologies are evolving rapidly, and nation-state attacks are increasing in terms of scope and sophistication. This cyber “fog of war” makes it hard to see or assess every trend. Last year, for example, CSO’s predictions for 2018 did not anticipate the rapid rise of cryptomining. In hindsight, this relatively easy to execute, lower risk way for cyber criminals to monetize their efforts should have been an obvious choice. Still, we got a few things right: more automation of threat-detection processes, significant rise in attacks using compromised IoT devices, and the decline of trust in the face of rising cyber crime, to name a few. This year, we asked CSO staff and contributors to tell us the biggest events or trends they anticipate for the next 12 months. Here are their top 9. Ransomware will taper off as criminals shift to other ways to generate revenue. “While ransomware will still be a problem, it will be more of a focused, targeted attack,” says Steve Ragan, CSO’s senior staff writer. He cites the declining number of ransomware attacks. According to Kaspersky, the number of users who encountered ransomware in 2017 and 2018 fell by nearly 30 percent over the 2016 to 2017 time period. ‘The randoms went down, and the targeted ones were big news,” says Ragan. For example, the ransomware group responsible for SamSam is now focusing primarily on a relatively few U.S. companies, mainly municipal and healthcare organizations, according to Symantec. Last year, CSO predicted that the European Union (EU) would quickly punish a few companies in violation of its General Data Protection Regulation (GDPR) to make an example of them. That didn’t happen. The threat of penalties over compromised personal information will still have a huge effect on security operations in 2019 nonetheless. Those penalties are likely coming. “The EU will break some fingers with the GDPR,” says CSO Senior Writer J.M. Porup. “Enforcement is going to be harsh beginning in the first half of 2019. Companies engaged in surveillance capitalism, like Google and Facebook, are in for a rough few years.” Hundreds of complaints have been filed, including some against Google and Facebook. In 2019, we’ll see how the EU will react to those complaints. That will provide some much-needed clarity regarding the risk that GDPR and other privacy regulations present. If the GDPR doesn’t react, then that’s telling, too. It sends the message not to take the regulation seriously. Rising concern over how companies use and protect personal information will encourage many Americans to hold those companies more accountable. “The reaction by consumers to constant security breaches and other unethical information disclosures (e.g., Facebook) leads U.S. consumers to demand more default privacy and control over their own information,” says CSO contributor Roger Grimes. Grimes expects to see an effort to enact privacy laws similar to GDPR nationally in 2019. The California Consumer Privacy Act has already passed into law and goes into effect in 2020. On November 1, Sen. Ron Wyden introduced a bill titled the Consumer Data Protection Act (CDPA), which has stiff penalties, including jail time, for privacy violations. Given the federal government’s current state of effectiveness, that bill is unlikely to gain much traction. In the meantime, most organizations that handle consumer data in the U.S. will look to other regulations such as the GDPR and CCPA for guidance. “California and New York will continue to drive the conversation around consumer data privacy, while Washington drags its heels,” says Porup. State-conducted or sponsored targeted cyberattacks on journalists, dissidents and politicians will continue to grow. Like-minded governments will turn a blind eye to such attacks on their own soil. The worst possible outcome of a nation surveilling its own citizens played out in the case of Saudi journalist Jamal Khashoggi. Israeli newspaper The Haaretz reported that the Saudi government used Israeli cyberweapons to track Khashoggi while he was in Canada. The Israeli government appears to be a major exporter of technology that other governments can use to spy on its citizens. Another Haaretz story reports that multiple countries are using Israeli software to target dissidents and homosexuals. Windows 10 Advanced Threat Protection (ATP) is a service that allows anyone with an E5 license to see under the hood and review what an attacker did to a system. It relies on telemetry that is enabled when the computer is linked to the ATP service. The software giant will move to fortify its continuing efforts to build a security-focused brand image by making ATP standard with all Windows versions. “This will be a key selling point in choosing Windows products over IBM's Red Hat in the coming year,” says CSO contributor and Windows expert Susan Bradley. The confirmation of voter fraud will spur calls to better protect and enroll people in online voter processes. The conflict between those who want to make voting as accessible as possible and those who want to protect the integrity of the process will remain, however. “We have a need to ensure that everyone can register and vote online, but we will need to take major steps to ensure we can do so safely and properly,” says Bradley. Though far from a perfect solution, most websites and online services will abandon password-only access and offer additional required or optional authentication methods. For a while, the different forms of multi-factor authentication will likely confuse and frustrate users. Those standards, at least on the vendor side, are on the way. “With FIDO2 browser enhancements and the Duo/Cisco acquisition, it could tip the scales. Expect to see more innovation here in the coming year that makes it easier and more compelling to use MFA than not to,” says Strom. Attackers know that the more information they have about you, the better they can craft a successful phishing campaign against you. Some are using tactics that are a bit creepy. “One of the trending changes in spear phishing are phishing campaigns where the hacker breaks into an email system, lurks and learns,” says Grimes. “Then they use the information they have learned, as well as taking advantage of the relationships and trust built between people who regularly communicate with each other. Even in physical warfare, most nations have agreed upon a basic set of rules, such as no torture, no poison gasses, or no slaughtering of civilians. The rules set boundaries that could align much of the world against nations that cross them. Cybersecurity training will continue to mature, and certificates alone will no longer be enough to take the next step in a security professional's career, Porup predicts. “The hodge-podge system of security certifications has failed to provide the right kind of education and training,” says Porup. "Cybersecurity training will continue to mature, and certificates alone will no longer be enough to take the next step in a security professional's career," Porup continues. "Masters degrees in cybersecurity are popping up all over the place, including at prestigious universities like UC Berkeley and NYU, and more and more companies will be looking to hire CSOs/CISOs with the cross-disciplinary skills acquired from a masters degree." 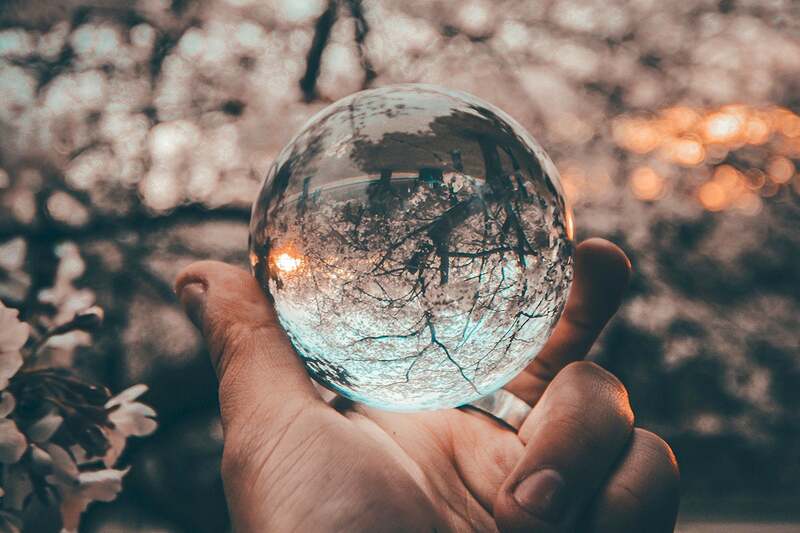 This story, "9 cyber security predictions for 2019" was originally published by CSO.